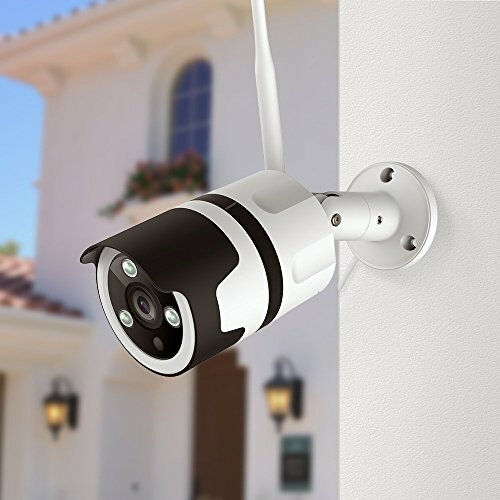 Are you looking for the best bang for the buck wireless outdoor home security camera? This is one area where you should definitely not follow the herd. Some of the top-selling cameras have serious drawbacks you should be aware of before buying. 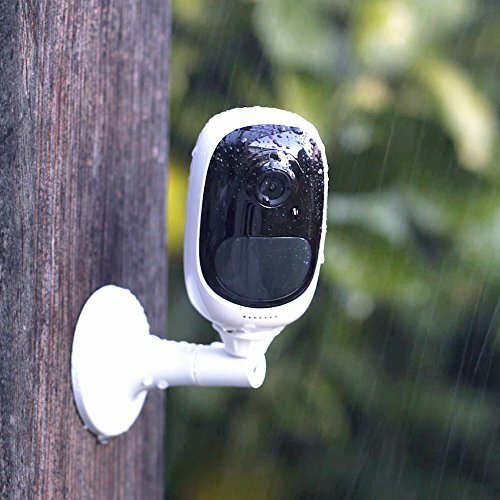 In this article, we will list the best-selling wireless outdoor home security cameras and identify the ones to avoid and the ones to buy. 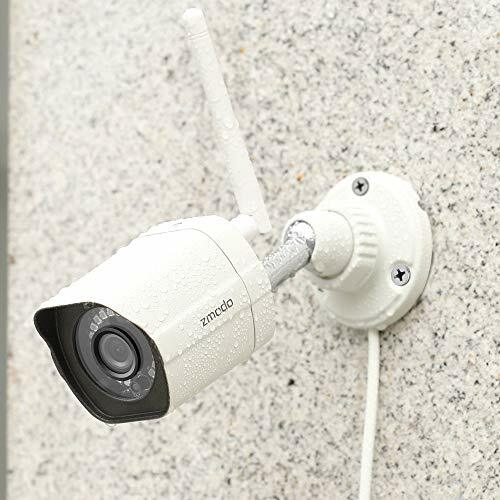 In this blog post, we are going to briefly review the best-selling security cameras around. There’s a huge variety of features and security capabilities, so we will point out any red-flags as we go. Local storage or Cloud Storage – Local storage is more reliable vs. using only cloud storage in case of an Internet fault. 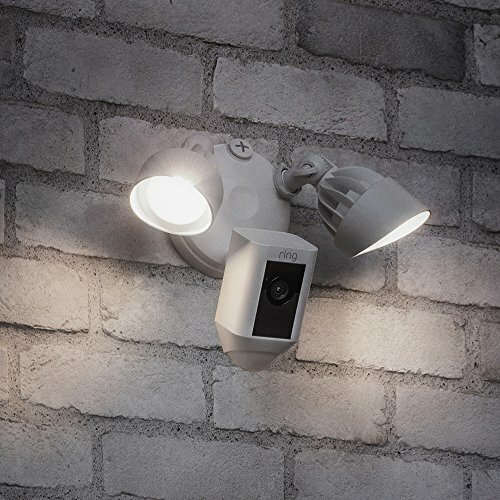 The Ring family is a mainstay of the security camera market and the Floodlight Cam is the latest addition to the brood. It certainly fills a void in the mainstream market for those who want a hardwired floodlight camera. However the camera is Wi-Fi only, and worryingly cloud reliant. It doesn’t even have an SD card slot, is useless during a power cut and so is not recommended by us. 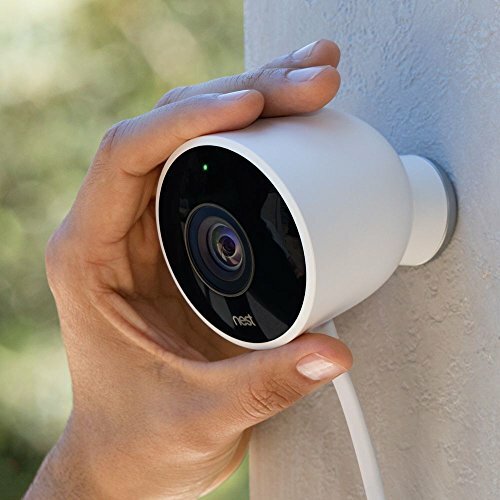 Another very popular camera making it to no.2 on the list is the Nest Cam Outdoor Security Camera. The positives are 1080p, and 2 way-audio. However 24/7 recording is available only with a paid Nest Aware subscription. Person alerts are a cool feature but again is a premium option. However the camera is Wi-Fi only, and once again worryingly cloud reliant and will not work if your Wi-Fi is not working or if your Internet connection is down. It doesn’t have an SD card slot for local storage. Not recommended. 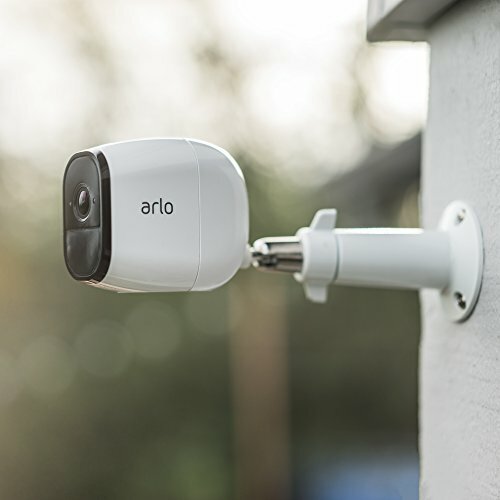 The first battery powered security camera on our best-sellers list is the Netgear Arlo Pro system consisting of 2 Arlo Pro cameras and the base station. These cameras were the first real battery powered security cameras to go mainstream. The batteries are rechargeable, the video is HD resolution, you get 2-way audio, night vision IR LEDs, and a smart siren. Pay for the monthly subscription and get the latest person alert feature to reduce false motion detection alerts. The downsides are that the system is Wi-Fi only and is totally cloud-reliant even though it has an SD card slot for local storage. Netgear has confirmed that access to the cloud is required and that the local storage is not an alternative to cloud storage, its just a dual recording solution in case the Wi-Fi fails or the Internet connection is disrupted. Not recommended. This is the first non-brand camera on our list. 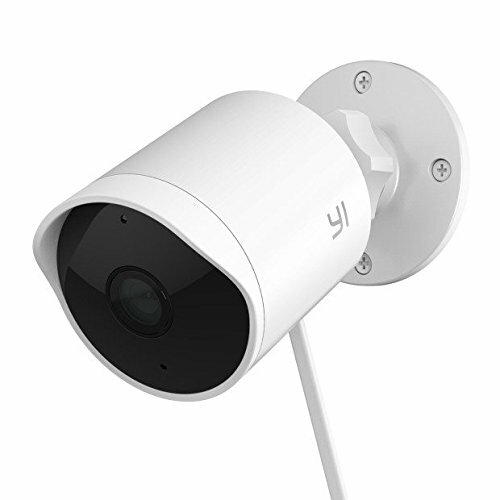 Yi is perfect example of the new crop of Chinese manufacturers who have stormed the home security camera market with cut-price products that are not cloud-reliant. You typically get a lot more features than a branded alternative such as a Nest Cam. For example, this Yi camera has an SD card slot for local storage and they don’t force you to pay a monthly subscription for 24/7 recording. You can pay up if you want cloud backup though. The main issue we have with the camera is that it is Wi-Fi only (the wired connection is for power only). There is no Ethernet connection available. Also note that this camera is not smart home compatible as it does not support RTSP, nor does it have native support for Alexa. The other worry is about privacy as there are some signs that the camera may be ‘dialing home’. This should be a concern for all Chinese-made cameras in our opinion. 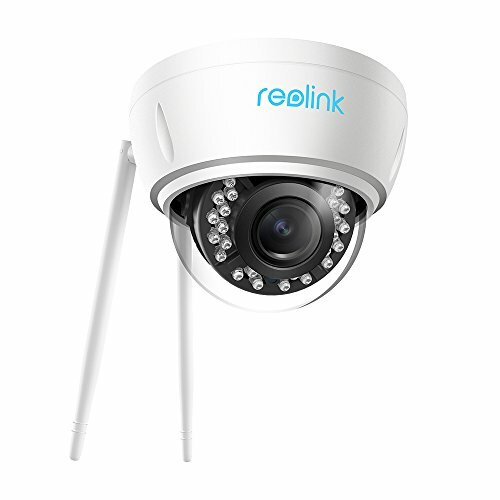 So we suggest you look at the Reolink brand for solid, reliable, yet affordable cameras that do not invade your privacy. 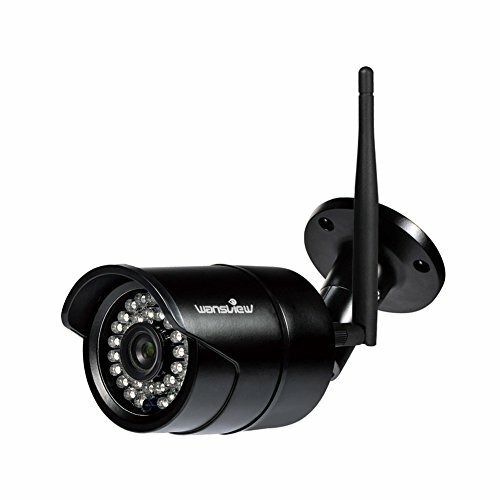 This SV3C is a bullet style IP camera. I say IP camera because it supports ONVIF and RTSP. It has a 2 Megapixel sensor that lets it record video at 1080p resolution. This is a Wi-Fi only camera (the wired connection is for power only). It does have SD card support so you can record motion detection clips locally. 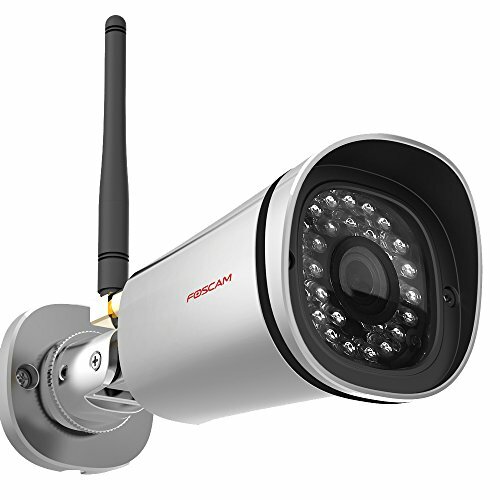 While its not a locked down cloud-reliant camera, it still uses P2P by default to allow remote access form outside your home or office. Again I would recommend disabling P2P access to protect your privacy and keep your home network secure. Also note there is no cloud storage option, should you require it. Now we’re talking. 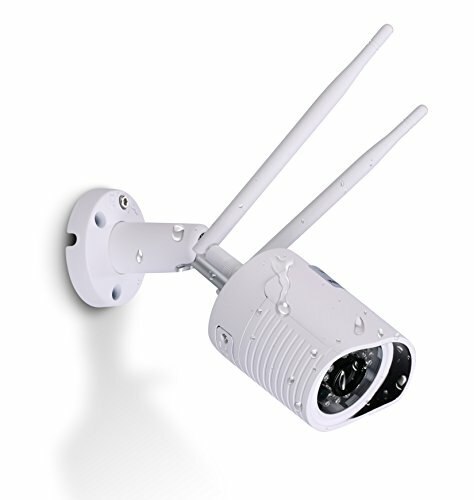 This IP camera is from one of my favourite brands – Reolink. This camera gives you room to grow since you can buy an NVR later on if you want 24/7 local recording without any monthly fee. Adding an NVR will also let you add more such cameras from Reolink to your home and be able to watch them on a single screen. This is the most cost-effective way to get into DIY security cameras. The resolution is an impressive 5 Megapixels which is frankly overkill when you think about it, that’s a resolution of 3072×1728. Can your monitor even display that high a resolution? So its good you can fall back on standard 1080p resolution should you need to. This RLC-420 also has a built-in mic for audio recording. This camera is not cloud reliant, but Reolink does offer it an option. You get a slick yet effective mobile app through which you can check in remotely using P2P or port forwarding. An SD card slot is available, and a 64 GB SD card is provided too. Since it supports ONVIF and RTSP, you can easily integrate them into you smart home automation system. You can also use 3rd party IP camera viewers such as tinyCAM Monitor Pro. Check out our hands-on review of the PoE version of this excellent IP camera. 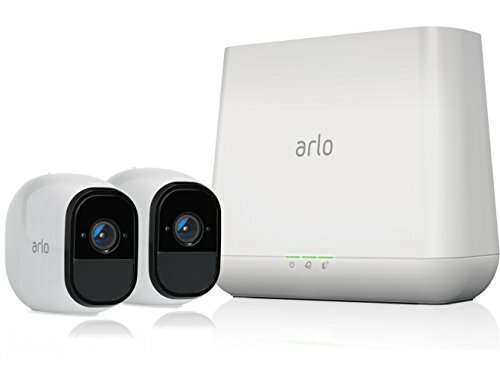 For quite some time, the Netgear Arlo was the only choice of a totally wire-free security camera. It had several issues, namely that it is a Internet & cloud-reliant camera. That didn’t sit well with us here at Vueville. So we rejoiced when Reolink launched the super high-quality Argus which was not cloud-reliant and not Internet-reliant. Now Reolink has released the successor Argus 2 which improves upon its predecessor by adding a rechargeable battery and a solar panel accessory. There is one clear downside though – there is no way to directly connect this camera to a home automation system because it doesn’t have an API, doesn’t support RTSP, and doesn’t interface natively with any other system. Even IFTTT is not available, not that I recommend it because it is slow and unreliable. The Reolink RLC-410W is a more traditional offering compared to the Argus above, but is also wireless. Available in either 4 MP or 5 MP guise, this camera unusually supports the 5GHz Wi-Fi band. We think its because of the high resolutions involved which necessitates higher bandwidth availability which the 5GHz band can provide. But wireless range will suffer as a result. Lower frequency electromagnetic waves (2.4 GHz) penetrate solid walls better than higher frequency waves. 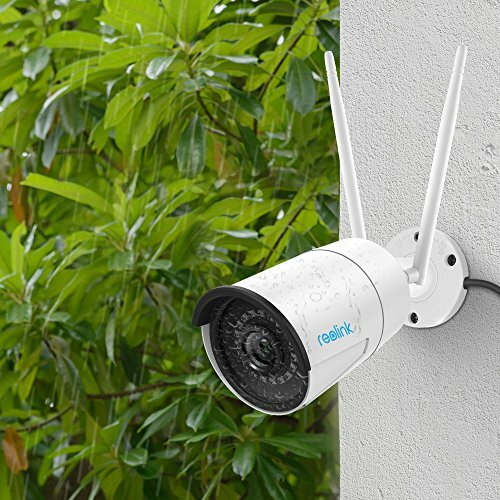 The UniFi range of security cameras are usually preferred by those who are already aware of Ubiquiti’s stellar reputation in the wireless network arena. These cameras are equally amazing and are really under-rated. 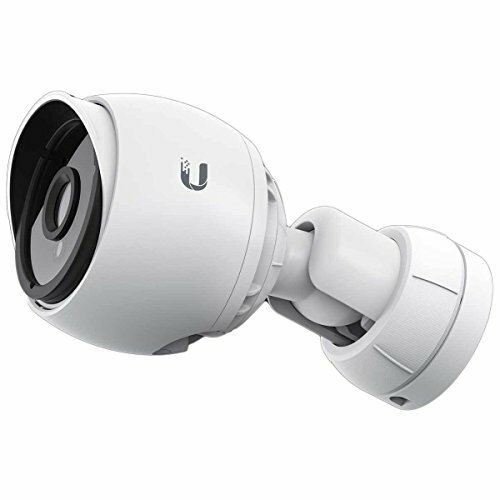 These cameras used to come only with Ubiquiti’s proprietary Passive 24V PoE, but now Ubiquiti is making the shift to also supporting 802.3af standards compliant PoE. We welcome this move. So when you buy the G3, make sure you get the model with -AF at the end. Suppliers may still have old stock of the non -AF model. The UVC-G3-PRO variant adds a powered 3x zoom lens. This Zmodo camera is a bit of a strange one – cloud storage is optional but it has no local storage. It doesn’t support ONVIF or RTSP either. So you are basically forced to buy their optional cloud service. It doesn’t have any way of connecting to home automation systems either. We don’t recommend this camera. Not least for the fact that these have extremely poor security and are easily hacked. The 3 Megapixel Amcrest IP3M-943B is a worthy alternative to Reolink’s higher resolution RLC-410W. 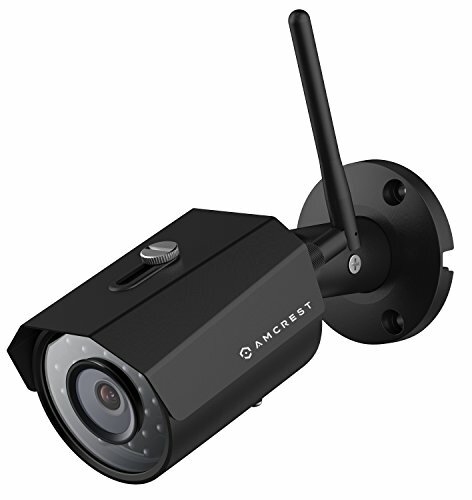 This Amcrest camera has an Ethernet port in addition to Wi-Fi. So you always have a reliable way of connecting your camera in case Wi-Fi is temporarily unavailable. The lens is wide-angle, there’s onboard SD card storage, the camera supports ONVIF, RTSP and has an API. We have a confession to make – it was the 720p version that we found on the top-selers list. But 720p is just too low a resolution for a modern security camera, and we recommend at least 1080p resolution (2 Megapixel). Considering how affordable 1080p cameras are, we were really surprised to see this model on the top-sellers list. If you have to buy a Wansview, please do yourself a giant favour and get the 1080p version. The camera supports ONVIF and RTSP but has no local storage, so you will have to rely on an NVR, computer or mobile app for recording motion detection clips. We have not come across this brand before, not a huge surprise because we stick to the tried and trusted brands. The Hikam A7 is a feature-rich camera – it supports Alexa natively and has ‘AI-powered’ person detection. Adding AI to the features list is the latest trend, and we are generally skeptical of ‘AI-powered’ claims. The latest trend among security cameras seems to be “Works with Alexa”. One can see the attraction – control your security camera with your voice. But that’s just the thing, security cameras are not devices you want to actively control. They should be set up once and then do their job 24/7 whether that be motion detection recording or 24/7 continuous recording to an NVR or DIY NAS NVR. However this camera does not currently support ONVIF and RTSP – so its not going to work with any NVR or non-Alexa smart home system. Once upon a time, the go-to brand for DIY home security cameras was Foscam. But their hegemony was challenged when one of their distributors spun off to create the challenger named Amcrest. They managed to outclass Foscam in every way and dominated the market for some time. Then Reolink came along and undercut Amcrest in price. So there’s a happy balance but with Foscam nearly pushed out of the market. They are still around though and seem to have upped their game. The FI9900P has been well-received and is a brisk seller. 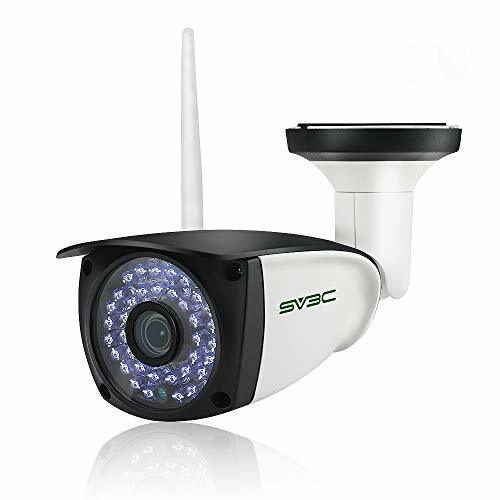 It has a maximum 1080p resolution, an SD card slot, and supports ONVIF and RTSP. Top-sellers are not always the best, some of them are heavily crippled without a costly monthly subscription. That’s unfortunately the new business model that some companies have adopted. However with some research and the information on this website, you can make an informed decision. Remember local processing and local data storage are the key to a reliable security camera and protecting your family’s privacy. Weekend Reading: Is your Amazon Echo spying on you? Why does my IP camera keep going offline?